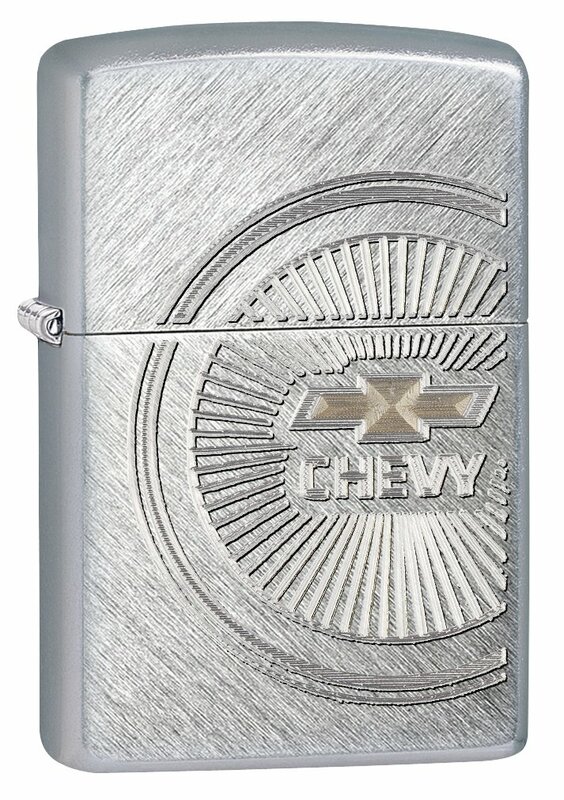 Officially licensed Chevy Zippo windproof lighter with an interesting new angle on Zippo’s traditional brushed chrome finish. Directional brushing results in creative design patterns with a look of brushed chrome, but with a fresh new perspective. Dynamic two-tone engraving creates a powerful Chevy logo treatment. Refill with Zippo premium lighter fluid for dependable, long-lasting service. Distinctive bottom stamp identifies this lighter as genuine Zippo. Packaged in an individual gift box with Zippo Lifetime Guarantee.